If you’re one of the dozen people who hasn’t played Grand Theft Auto V yet, you still have a bit of time before GTA Online releases October 1. 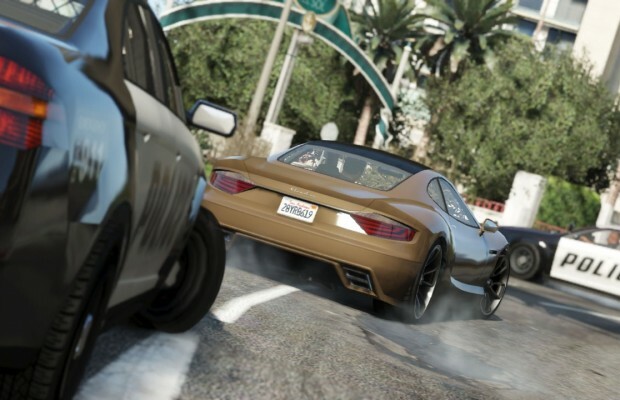 Far from being a simple multiplayer addition, GTA Online is a massive multiplayer experience years in the making. What started as an idea when GTA III released is now almost ready for players. Rockstar has released a wealth of new information about the game in preparation for the release. On Rockstar’s website, Online is described as “a fully realized and living world for multiple players that will continue to grow and take shape over time. Rockstar emphasized that player feedback will help shape the ever-expanding world–nearly everything will rely on what you like and don’t like. In terms of what you’ll have access to on Day 1 of the game, Rockstar promises up to 16 players inhabiting one world at a time, and those players can team up, go against each other, or simply enjoy the ambient activities of Los Santos as they occur in the Single Player game. This includes missions, sports, and racing. A new addition to the game will be Reputation, the currency needed to rank up and access new missions and weapons. Finally, Rockstar added some icing on the cake by discussing some planned updates. All of these will be completely free. For starters, there will be a content creator tool that allows players to create and customize original races and other competitive modes. The extent of this is not yet known. A content pack called the Beach Bum Pack (again, free) will add over 300 clothing pieces and two weapons. A Capture the Flag mode will also be making its way into the game (with custom flags) and, last but not least, cooperative Heist missions will be available as well. These missions should be as complex as the Single Player ones, as Rockstar emphasizes “careful planning” and the Heist Planning Board. This isn’t even the beginning of what GTA Online could be. Tell us what you’re excited for in the comments, and be sure to find us on Facebook and Twitter for more updates as they appear!